Sort bottles, cans, and paper or just have a blast. 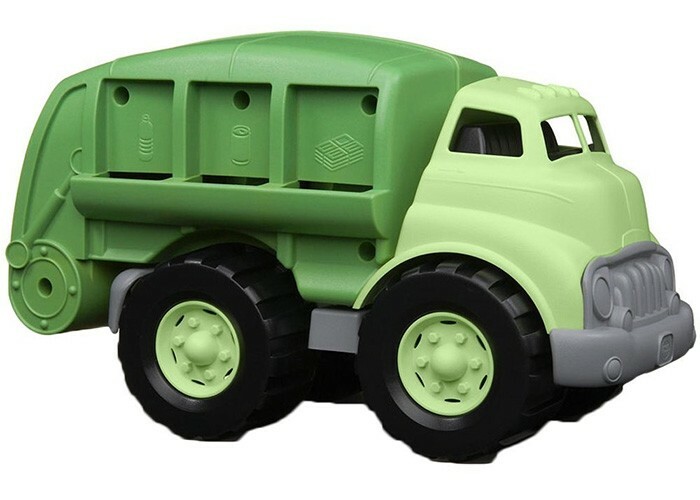 Your little one will learn recycling basics while playing with this super cool recycling truck that has a movable recycling bed, side recycling chutes, and an open/shut rear door. The awesome design has no metal axles. 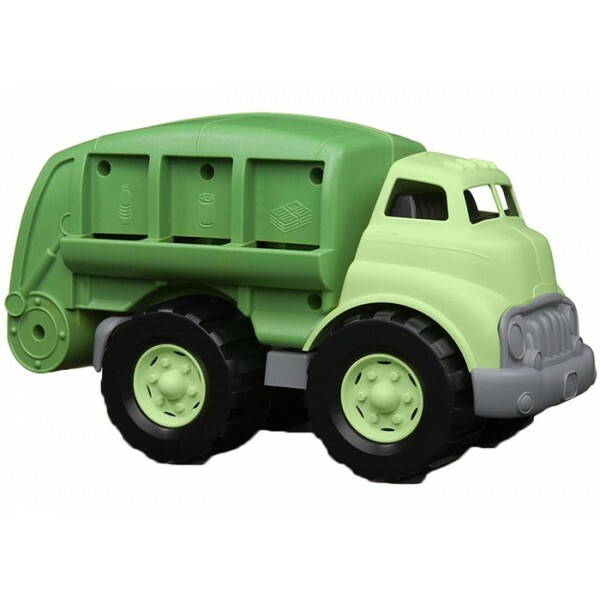 All Green Toys products are 100% made in the USA. To be more specific, they are produced in California, a state known for strict toy safety and environmental laws. 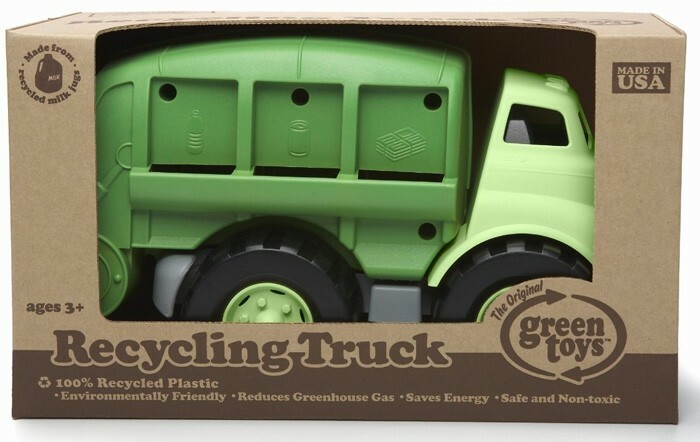 All Green Toys products are packaged in recycled corrugated boxes with no plastics, cellophane or twist-ties, and are 100% recyclable. Green Toys products are tested by nationally recognized, independent, third-party labs (located, yes, in the USA.) They contain no traceable amounts of Phthalates or BPA.